How dedicated am I to finding good wines to share with my guest at our bed and breakfast? So dedicated, that I attended a wine tasting on my birthday. OK, so it wasn’t that much of a sacrifice. As many of you know, I help my friends at Cellar 55 Wine Merchants and the Belfry Bistro almost every Wednesday evening during the season. Since my birthday fell on a Wednesday this year, I did not work and instead Jan took me to the tasting for my Birthday. It was a treat to actually sit and enjoy the wines and food parings. It was a double treat since the wines were from the Siduri family of wines, a winery we tasted last year and that I liked very much. Paul Russo, Fine Wine Consultant from Masciarelli Wine Company, presented the four wines; two Siduri and two Novy. 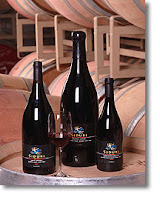 Siduri Wines, based in Santa Rosa, CA, has been making ultra premium, single vineyard Pinot Noirs from grapes sourced from California and Oregon since 1994. Siduri’s founders and winemakers, Adam and Diane (Novy) Lee, have kept Siduri only focused on Pinot Noirs and in 1998 expanded into other varietals, with the help of family members, under the Novy Family Wines brand. 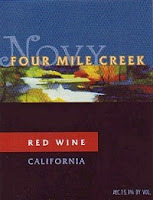 Paul started the night with the 2010 Novy Russian River Gewurztraminer pared with Coconut Shrimp with Pineapple Salsa. I am not a big fan of Gewurztraminer and found this one, like most I have tasted, too sweet for me. It did improve with the shrimp and, since Jan doesn’t eat shrimp, I enjoyed two servings. 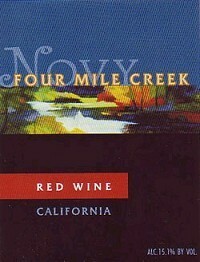 We next moved to the 2010 Novy Four Mile Creek Red Table Wine pared with a Sweet and Savory Chicken Lettuce Wrap. Last year I served the 2009 at the Inn and it had been selected by the Wine Enthusiast magazine as one of the Top 100 values of 2011. This year’s blend of Syrah, Grenache, and Zinfandel somehow missed the mark for me and left me flat. Jan liked the lettuce wrap and she enjoyed two servings as I contemplated the difference a year can make in a wine. This is another good reason to go to wine tastings and revisit wines you have enjoyed in the past; to see if they still meet your expectations. I’ll wait until the next vintage before this wine is served at the Inn. At the halfway point of the evening, we switched to Siduri and made my evening. First, we had the 2010 Siduri Chehalem Mountains Pinot Noir pared with Grilled All Natural Pork Loin with Plum Chutney. 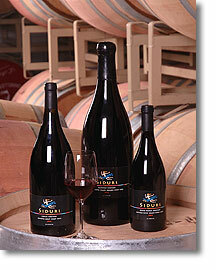 Siduri specializes in only Pinot Noir and these grapes were sourced from Oregon’s Willamette Valley. I had not had this wine before and loved it both with and without the pork. You can drink this by itself or with a heavy meal. 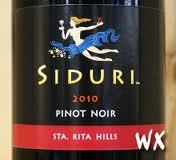 We finished with 2010 Siduri Santa Rita Hills Pinot Noir pared with a Frozen Chocolate Cabernet Shooter. The grapes are blended from five different vineyards all from the Santa Rita Hills AVA in Santa Barbara County, CA. This is the third vintage of this wine that I have had and it is as good as ever. For me it was the perfect match to the Chocolate and by far my favorite wine of the evening. Ok, so I thought the evening was all about me when the staff led the 70 plus guests in a round of Happy Birthday to me. It’s acceptable to think that way on my birthday, especially since I was working so hard looking for the next great wine to share with my guest at our bed and breakfast. 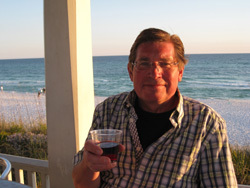 Come stay with us and, even if it’s not my birthday, I’ll share my latest finds with you.